Sonos Wireless dock review | What Hi-Fi? The Sonos system is great, an almost perfect match of functionality (giving you access to your music and streaming libraries) and usability. Its combination of controller and app is both slick and intuitive, and we hotly anticipate the arrival of any new element to the system. 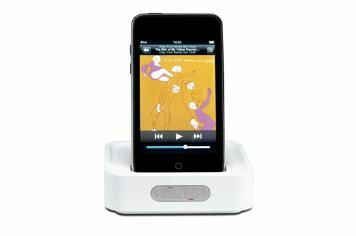 And here is the latest addition to the multiroom music system: an iPod dock, allowing you direct access to tunes, podcasts, playlists and anything else on an iPod or indeed iPhone. And that it does – but not, we're slightly disappointed to say, with the style and ease to which we've become accustomed. While you can browse a docked iPod remotely and play tracks, you can't make a queue of tracks, negating the convenience of the Sonos playlist system. There's no remote search functionality, making finding music on a docked iPod more laborious. Yes, the dock adds your iPod to your Sonos system – but we can't help thinking it could be better integrated.